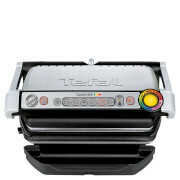 The Tefal Mini Pro Fryer is ideal for smaller kitchens where space is of a premium. 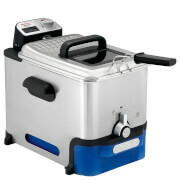 The compact fryer requires only a litre of oil yet will prepare up to 600g of your favourite fried snack. 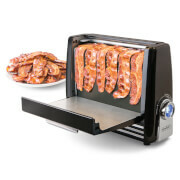 With a permanent filter and viewing window for easy monitoring of the cooking process, the fryer has an adjustable thermostat and temperature settings between 150°C to 190°C. Crafted from stainless steel, the fryer has a dishwasher safe lid and a non-stick coated bowl for easy cleaning.